From Zara to H&M to local designer boutiques, Tokyo is as diverse as they come when shopping for fashion. However, the abundance of stores might have you bypass some of the outlet malls here in Tokyo. Don't: If you're looking for cheap, high-end goods, these are great places to hit! While it only has 60 or so outlet stores, Grandberry Mall is still worth checking out for the products and the surrounding activities. Retail stores include Gap, FrancFranc and Montbell, while the outlet shop list includes Nike, Adidas, Coach and Brooks Brothers. More than that, the area itself is spacious, and many people come here to bring their pets and families for a nice stroll. There are even a couple of pet shops here as well. Another popular aspect of Grandberry Mall is its movie theater, which shows both domestic and foreign films. Directions: Head to Minami-Machida Station on the Tokyu Den-en-toshi line. Grandberry Mall is a 2-minute walk from the station. Mitsui Outlet Park is a nationwide chain of malls, but the Tama Minami-Osawa outlet in Western Tokyo is Japan’s largest outlet mall. The mall has a mix of recognizable names and a few that may be new to you, depending on your couture. You'll find stores like Jill By Jill Stuart, Ingni, Jet Set, Calvin Klein, Adidas, J. Ferry and more. Keep your eye out for bargains, as there are usually quite a few deals going on. Generally, prices go down the more you buy, with deals like “buy 3 get 30 percent off” being fairly common. However, you might see some amazing 70 percent discounts as well! Directions: Take the Keio Line bound for Hachioji to Minami-Osawa Station. Mitsui Outlet Park is a 1-minute walk from the station. 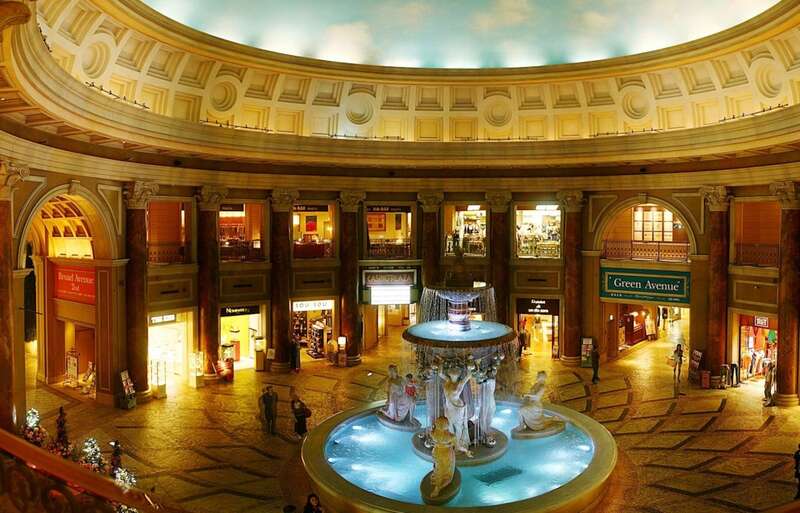 Located in Odaiba, VenusFort is popular for its shopping as well as the surrounding tourist attractions. The mall has three stories, each with a different focus: the ground floor has family-oriented shops, the second floor is for luxury goods, and the third floor has outlet shops for some of the most cutting-edge brands. There are approximately 50 brands located on the outlet floor that are especially popular among young people in Tokyo, such as Citizen Outlet, Levi's Outlet and Moussy Back-stock. The mall also has amazing interior design, so no one would blame you for wanting to take a shopping break to admire the beauty of it all! Directions: Take the Saikyo Line to Tokyo Teleport Station. From there the mall is about a 6-minute walk. I'm a freelance writer currently working in Japan. Teaching is what I do. Music is what I love. Producing and DJ'n are both passions of mine. Bring Your Lucky Charms to Yoyogi Park!